Coolis a unisexmodel, lightweight and resistant. A restyled vintage , as all the #StreetStyleCapsule collection, with rounded lines and particular colours, thanks to the combination of shades of the sun lenses. A design item, created and manufactured by the excellence of the Italian handicraft, using the gluing of Mazzucchelli 1849 high quality acetate. Another peculiarity of this model consists in the bridge, which is a little more raised than usual and has a different colour. Cool has point focal and base 2 lenses so as to change them inserting different colours. Young styled eyewear, glamour and classic at the same time, ideal for Italian fashion lovers. Cool is a very fashionable eyewear. 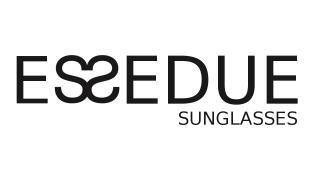 Cool is an Unisex Round Frames Sunglasses, handmade in Italy by Essedue Sunglasses with excelent material.